Nathan Jurevicius isn’t a frequent tweeter, so when he tweeted a link to “Scarygirl as a tattoo pinup!” I clicked it. This was my introduction to Ron Hollatz, a Chicago man who has spent two years and over twenty-five tattoo hours transforming his arms into mobile detolfs. Artists may begin with a traditional canvas, but not all characters can be contained: many make the leap into 3D and others land on skin. Of course, some overachievers do both. Today’s story is about the transition from toy art to tattoos of art. 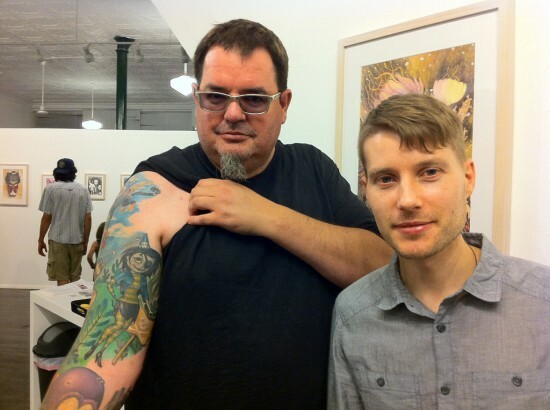 Beginning this weekend in New Haven, Connecticut, Hope Gallery is sponsoring a multi-city 24-hour tattoo tour. 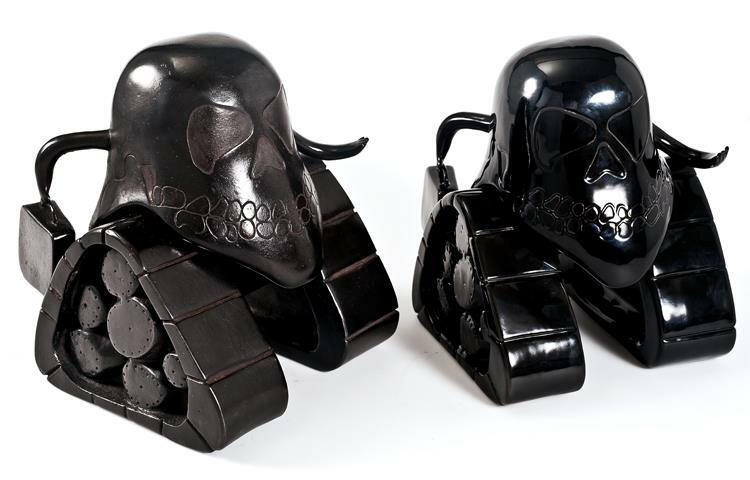 Curated by Nichole East, Quick & Painful, features flash art by 15 artists from the designer toy and contemporary art scene. Tattoos will cost just $40 on a first come, first served basis. The event begins in New Haven on August 27th and then hits Los Angeles (September 3rd), Chicago (October 8th) and Miami (December 1-4th). Click here for all the details. With Quick & Painful coming up, I thought I’d profile some of my favorite toy-based tattoo art, and who better to begin with than Ron? Ron has covered his skin in tattoos of art. 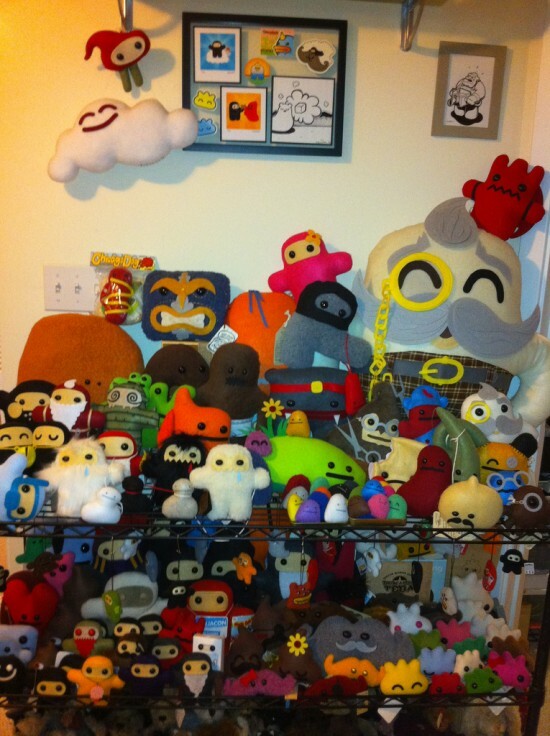 JB: How long have you been collecting vinyl toys? RH: I’ve always collected different toys and fun things to keep on my desk and decorate my office. After moving to Chicago in 2005, we discovered Rotofugi a few blocks from our house…our addiction began! Since then, toys have taken over a large portion of our home. 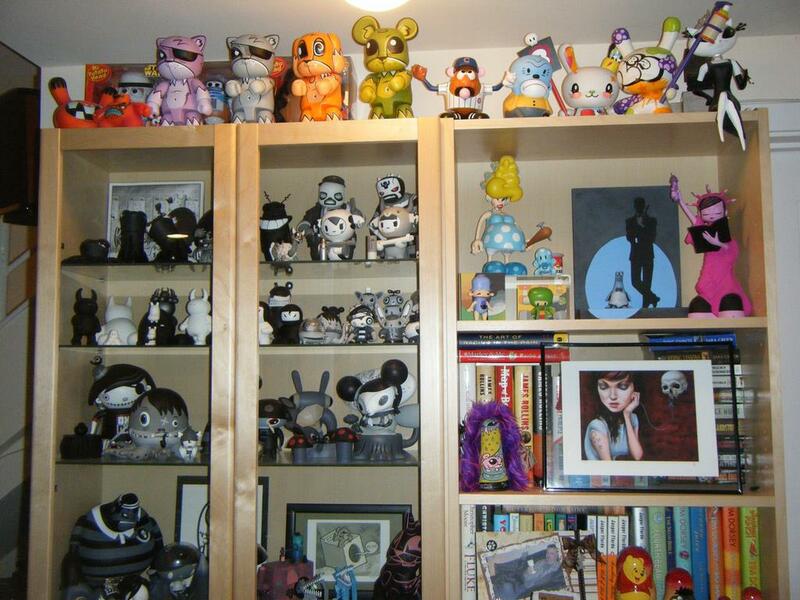 Like most people, my wife Laurie and I bought a ton of different toys until we settled on specific artists with an emphasis on anything greyscale. It’s kind of a bummer that the current economy has reduced the number of larger toys being made. Collecting mini figures just takes up too much space. So you basically live down the street from your ‘dealers’! 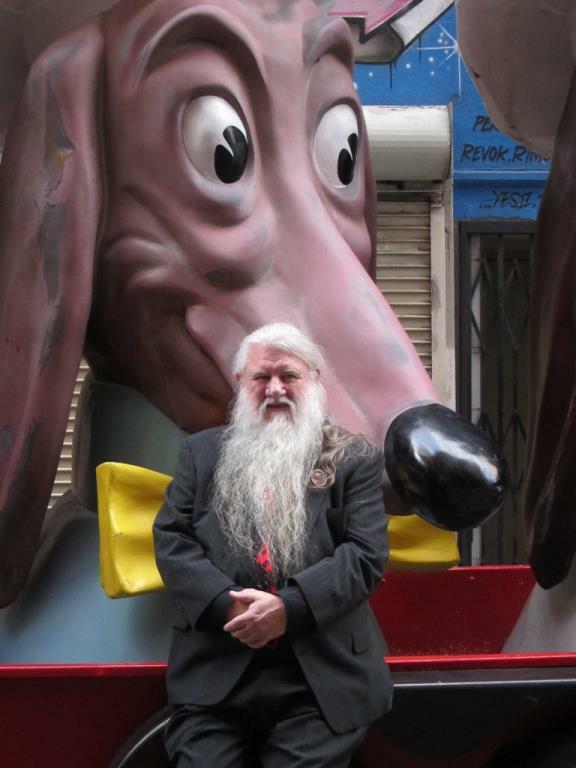 We consider ourselves very fortunate to live in Chicago, which is home to a lot of great vinyl and plush artists. 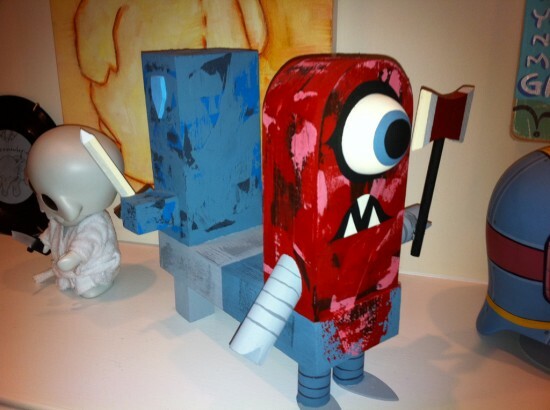 Rotofugi also has a gallery with popular local and national artists rotating through. 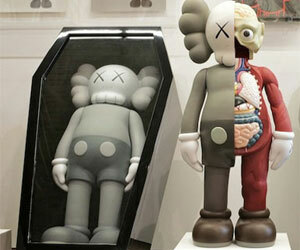 I really consider our collection to be art as well as toys. I have the usual favorites: Tim Biskup, Joe Ledbetter, Nathan Jurevicius, Amanda Visell, Ken Keirns, and Andrew Bell. 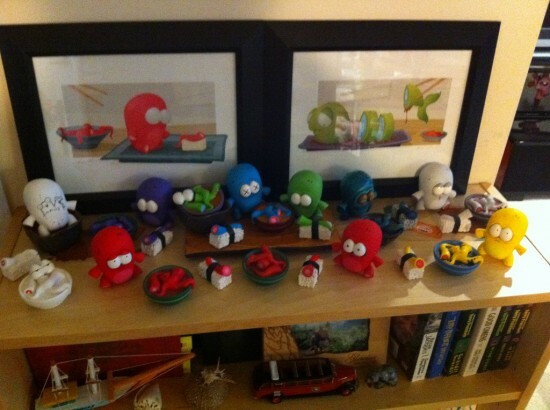 My wife Laurie is addicted to all things Shawnimals. Since creator Shawn Smith is local, she could be considered a stalker. We probably have the largest collection of his work besides Shawn himself. I’ve been talking for years about getting a tattoo, and I finally got it on my 45th birthday. 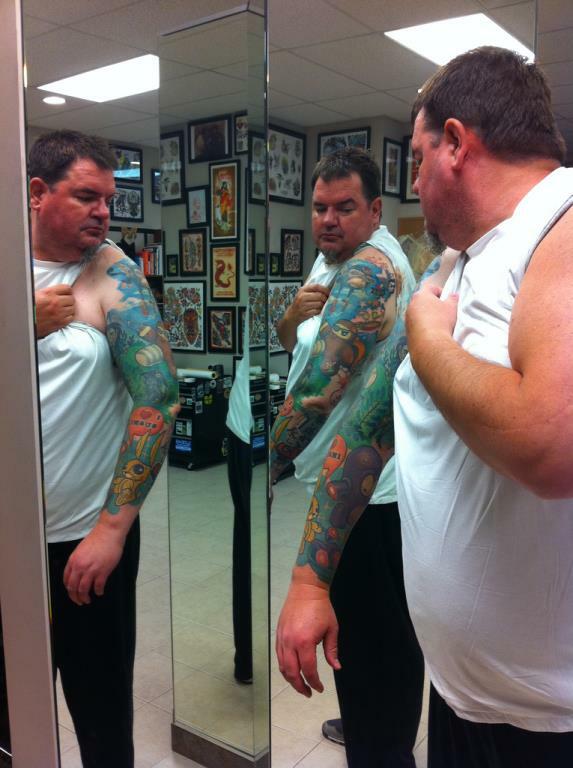 And, like collecting toys, my midlife crisis revolved around getting more tattoos. I’ve never been known for being graceful at 6’6″ and 300 pounds. Almost 3 years ago, I had an accident involving ice and stairs. We asked Shawn Smith if he would sketch a ninja tattoo for us. About a year and many brunches later, Ninja Klutz was born. But one tattoo just wouldn’t do, so we decided that a half sleeve would be cool. Can you describe how you formed the relationship with tattoo artist, Hannah Aitchison and how she created your tattoos of art? I think Hannah has a 6-8 month wait list. We were very lucky to have friends who were friends with her, which got us into the “family”. We still had to wait a few months, but not as much as someone coming in off the street. We showed her the toys and drawings, and she loved it. She started coming up with ideas, the half sleeve became a full sleeve and we were off. She is incredible! 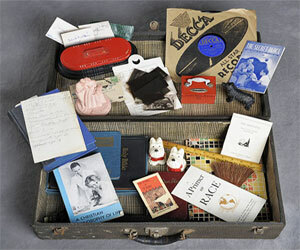 She made the characters interact with each other, transforming it into one cohesive piece of art. Hannah has told us that she has her own toy collection, has been to Baby Tatooville several times, and loves interacting with the artists. While we’ve given Hannah suggestions for my sleeve, you can tell that her passion for toy and tattoo work have raised both to a new level. And I feel so honored to have this for the rest of my life! You asked Hannah to turn a Scary “Girl” into a Scary “Pinup” complete with a cat homage. Let’s talk about it. Hannah is known for her pinup tattoos. I wanted something that represented her style. When I asked, she said she probably wouldn’t be able to do it. I went in for my next session and she had it ready. I’ve learned now to just let her go. The cat with the peg leg is in memory of our cat Fred who passed away a week or so before that session. He was missing his back leg from cancer about 10 years ago. Fred was a member of our family for 16 years. It took about 6 hours to do those 2 pieces. Which was your most painful tattoo of art? They aren’t as painful as you would think: the recovery is worse. The Tim Biskup and Amanda Visell piece, which Hannah based on their sketches, is on an area that’s mostly just skin over bone. The vibration on the bone was not fun. 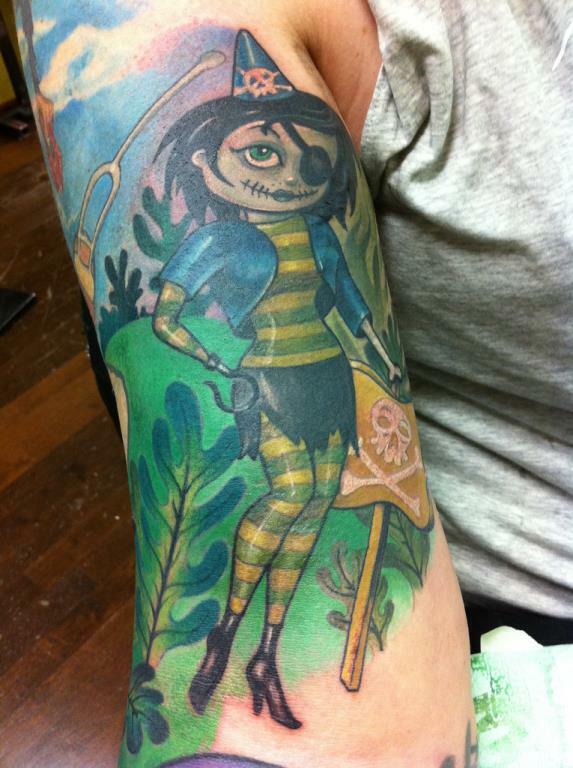 Have you shown your tattoos of art to the artists who designed the characters, and if so, what have been their reactions? 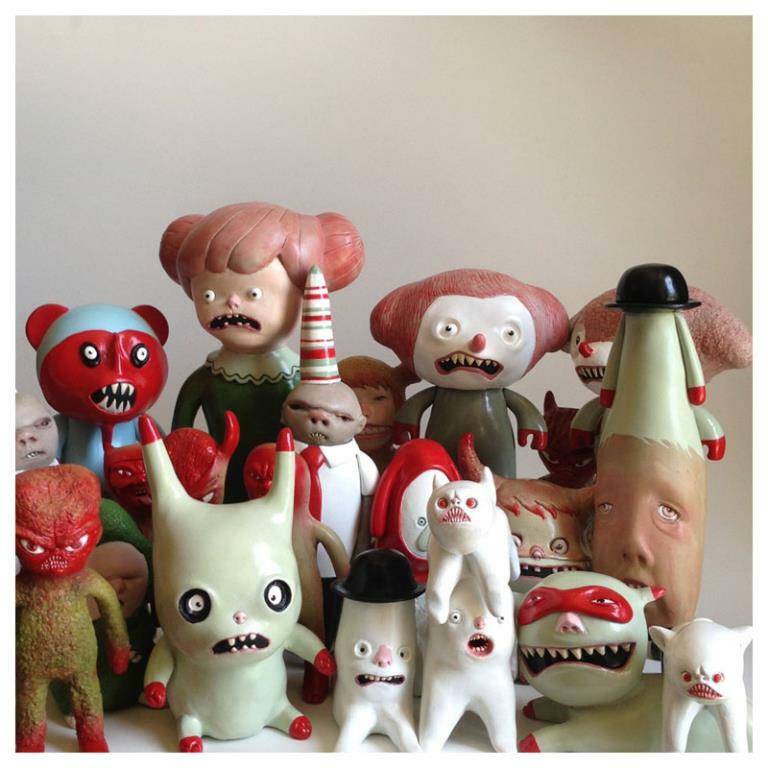 Andrew Bell had a show at Rotofugi recently. He couldn’t believe how good it looked. Shawnimal really likes his, and Ken Keirns was also very happy. We’re attending Baby Tatooville in October, and I hope to see more of the artists there. 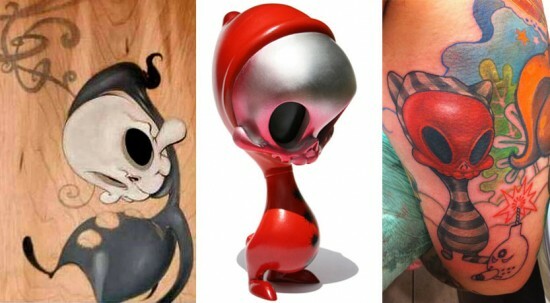 Vinyl toys and tattoos are both forms of art that are often misunderstood, and they’re both not cheap! Can you give us a ballpark dollar amount of your sleeves? I really don’t like thinking about it. There’s probably 25 hours of work at $200.00 an hour. But it has been the best money spent! Hannah is phenomenal, and I’m reminded how special this is when people ask me about my tattoos. They’re an excellent conversation starter that also raises awareness in how tattoos can be bright, colorful, fun and whimsical! 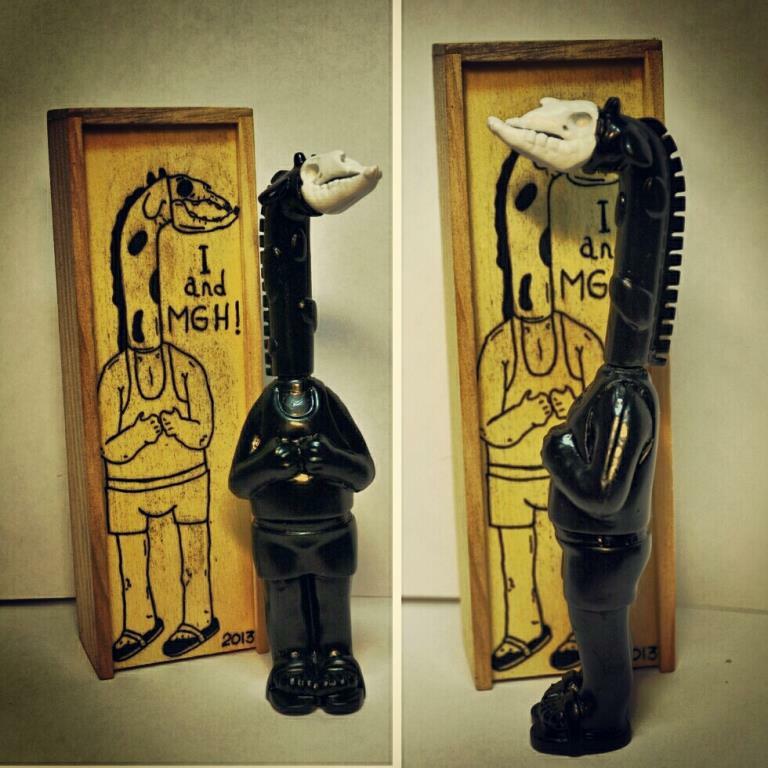 Which is more addicting: collecting toy art or getting tattoos of art? I still buy toys and will be getting the other arm done, so I think they are about the same. 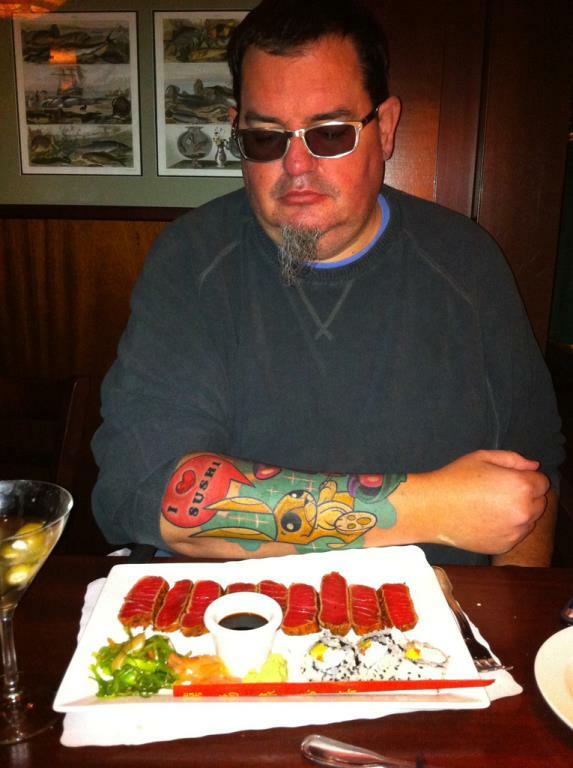 Maybe it’s his Mr. Bunny tattoo or his Andrew Bell toy collection, but do you get the sense that Ron loves sushi? When collectors get my work (or an inspired piece based on my work) tattoo’d onto their body, I’m at first flattered and then worried – part of me hopes that my art stands the test of time and that the person is not disappointed in the future. 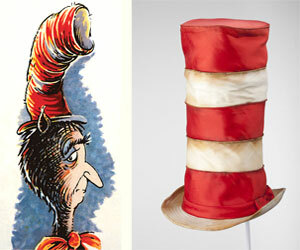 I prefer when people (as in Ron’s case) make the piece personal to them – alter the image/add to. Awesome. 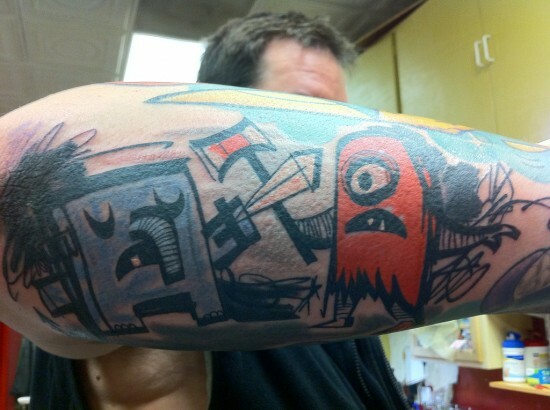 Thanks to Ron for sharing your tattoos of art, and stay tuned for an epic array of 75 toy art tattoos coming up next! It’s awesome to know just what you want and just who can do it – exactly the way you’d want, but in a way you wouldn’t even think of doing it. Well worth the effort and the money. 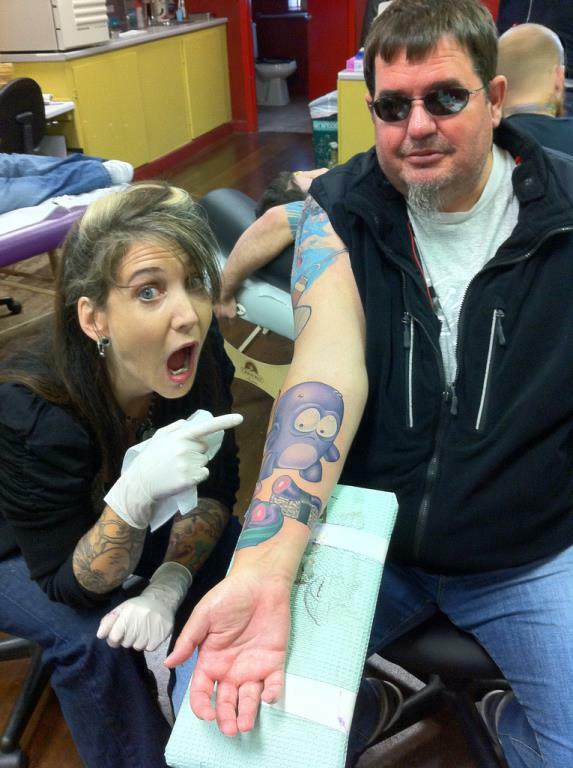 Discount tattoos are much like discount sushi…risky. Seems like Ron is great at choosing both. 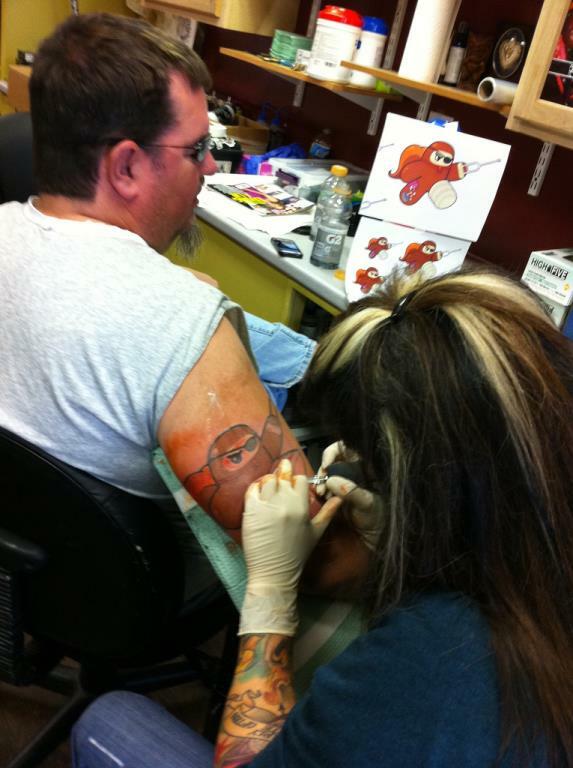 That tattoo artist is AMAZING! What is the contact information the tattoo artist(s)?